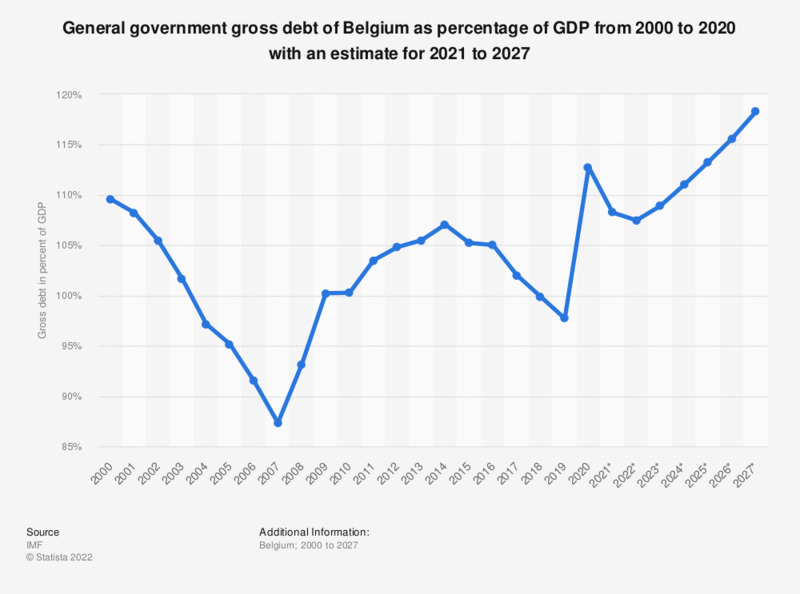 This statistic shows the general government gross debt of Belgium as percentage of GDP from 2012 to 2017 with an estimate for 2018 to 2023. In 2016, Belgian government gross debt reached a percentage of approximately 106 percent of GDP. The next year, this decreased to roughly 103.4. * The source states that the numbers from 2018 onwards are IMF staff estimates.